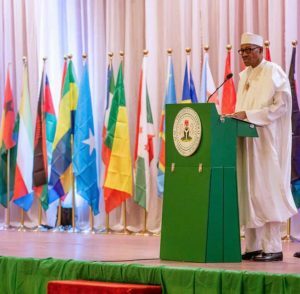 President Muhammadu Buhari has said that the Federal Government was committed to making the Anti-Corruption Academy of Nigeria (ACAN), a training arm of the Independent Corrupt Practices and Other Related Offences Commission (ICPC), the best anti-corruption training school in Africa. Buhari who spoke at the opening ceremony of the training workshop on Corruption Risk Assessment (CRA) for heads of anti-corruption agencies in Africa noted that the support for ACAN had become necessary in order to help Nigeria and other African countries deal with the massive problems of corruption on the continent. He observed that the fight against corruption was a battle for the soul of different countries in Africa that must be won, adding that CRA being championed by ICPC was a good tool for ensuring the success of the battle. The President called on the participants from over 30 Africa Union (AU) member countries to domesticate the CRA template, stressing that the training can only be meaningful if the Assessors are put to work back in their countries. Earlier, the Acting Chairman of ICPC, Dr. Musa Usman Abubakar, in his welcome address noted that the introduction of CRA by ICPC had helped government to block avenues for corruption in its financial systems. Dr. Abubakar listed some of the areas where the Commission had conducted CRA to include the ports sector, Nigerian international airports and selected Ministries, Department and Agencies (MDA) which had led to a significant reduction of opportunities for corruption in Nigeria. Stressing the need for CRA training, he said, “When loopholes and leakages in the systems are plugged, people will be denied access to public funds and as such will not have the opportunity to misappropriate it. There are about 42 participants drawn from AU countries like Mauritius, Mali, Kenya, Lesotho, Guinea Bissau, South Africa, Morocco, Togo, South Sudan, Sierra Leone, Liberia, and Rwanda. Others are Ghana, Senegal, Benin Republic, Zambia, Niger, Burkina Faso, Algeria, Burundi, Democratic Republic of Congo, Cote d’Ivoire and Tanzania.